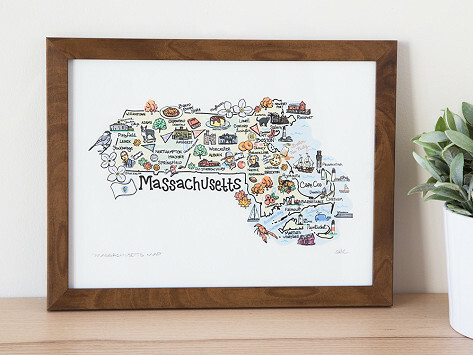 Showcase your home state pride or remember a favorite vacation spot with a Made in the USA state map print. 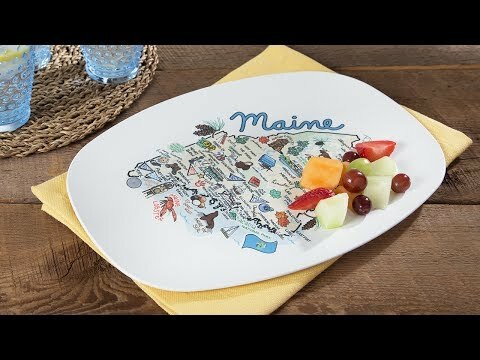 Maker Anne Klein’s original artwork highlights what makes each state great—like its historic landmarks, official flag, and state bird. Dimensions: 9.25" x 12.25" x 0.25"; 16" x 20" x 1.38"
It was a gift for my Daddy’s 91st birthday and he loved it! I may get one for myself (Texas) and one for my daughter (California).